Alston Hall is a three storey, detached country house down a long drive about a mile from the South Devon hamlet of Battisborough Cross. The house sleeps 38 people in 17 bedrooms, each with en suite bathroom, over the first and second floors. On the ground floor is a hall with seating area and wood burning stove, two sitting rooms, a dining room, a snooker room, a kitchen and a study. Outside is an indoor swimming pool, a seasonal outdoor swimming pool, two tennis courts, a play area, three acres of lawns and gardens and an enclosed walled garden with furniture. 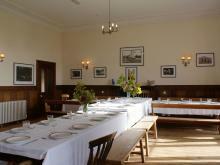 Alston Hall is an exceptional huge house for an amazing Devon break for a big group of family or friends. 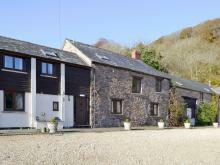 This huge country house is situated near the Devon village of Iddesleigh and can sleep 47 people in nine bedrooms.